Really my post has nothing to do with anyone named Benjamin but it's stuck in my head from Pitch Perfect and my friend Samie. Goodness I love that movie and need to remember to watch it more often. Anyway, we have had some really warm weather this week with low humidity. Aside from my allergies exploding, I am super pumped about this time of year. Seriously, its gorgeous! 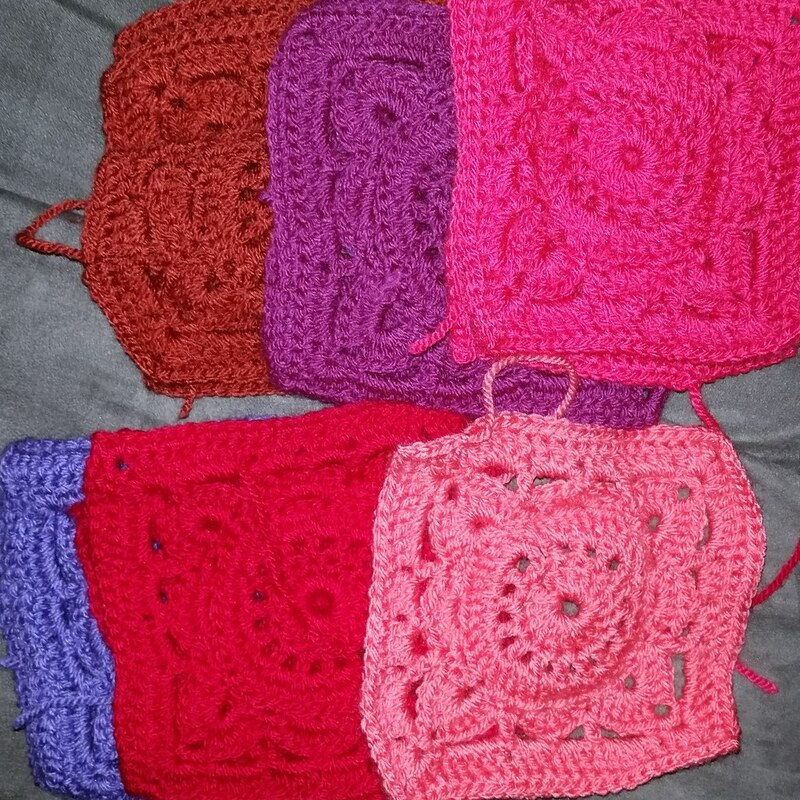 So things have been pretty calm here in Amaryllis land, between work, the gym and home I am pretty boring but I have made some progress on my blankets. 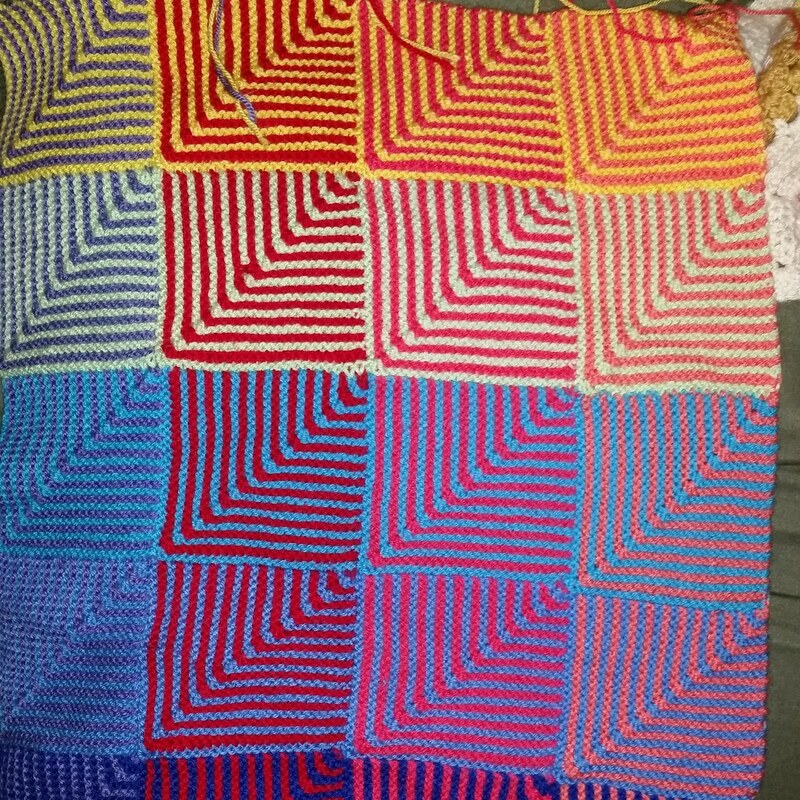 As I have indicated, I am really trying to finish a color on this blanket to make squares for the Willow Square Blanket. It's working pretty well so far as I finished the peachy color called (Shrimp) last night. Now onto the last row of this section. With that done all is left is the blues and green section, which may just be my favorite part. Though after my favorite, I still have a lot of ends to weave in which is my least favorite part. Since I just finished the Shrimp color last night, I only got one square done but still wanted to show everyone. Just need to keep on moving and both blankets will be done before I know it. The Hue Shift Afghan is gorgeous. I love how the colours change and the brightness of your other squares is just delicious. Thanks for sharing. Love the afghan! The colors are so great and vibrant. Can't wait to see the finished project.